Painting the inside of your home can be a chore, sometimes it can be fun, but other times you want to throw in the paint brush and just give up. But your house won't give up, and unless it gets painted it will continue to be the same drab color you want to change it from. That leaves you with the option of hiring people to come paint your house for you. And this means that when it comes to Gilbert, AZ interior painting you have to let these people into your house. And that also means that you need to trust them to not break anything, steal anything or damage any of your property. When you hire professional painters you know you are getting something a little better than hiring someone off the street. But how trustworthy can they be if you know nothing about them? Our business has been made by building upon trust and hard work. 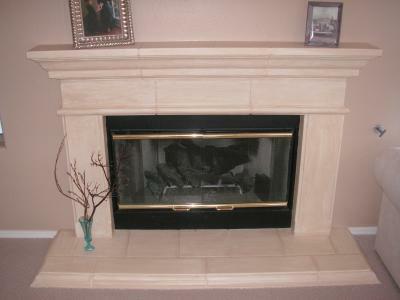 We specialize in Gilbert, AZ interior painting as well as painting of all other kinds. We can take care of all your painting needs, no matter how difficult you think it might be. Our trained and professional painters are there to meet the needs of the customers. They are there to paint anything you need, and get it done to your satisfaction. You can trust them to only touch what needs to be touched and to be clean while they are doing their jobs. Everything is taken care of from start to finish so you never need to worry about picking anything up afterwards. And if anything happens to be fragile they will help you move it out of harm’s way, putting it back when done. When you need painters that you can trust, then give us a call.